I work with an A.I company in Bangalore. All our new personnel typically go through the fast.ai course. It provides great fundamentals and brings them up to speed relatively quickly- in a fun and engaging manner! We would love to organize a weekly study group at our office for everyone to collaboratively learn along with us. If there are other groups in Bangalore available, a contact would be appreciated. Looking forward to meeting fast.ai members in Bangalore soon! 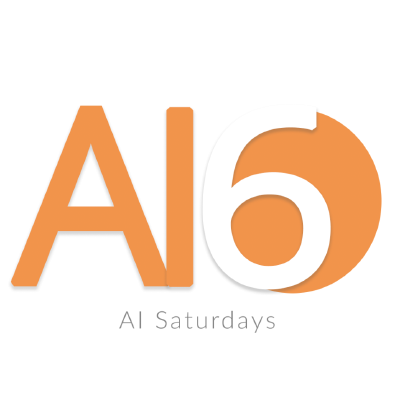 @SHAR1 Check this out … Possibly you can co-ordinate and run the AI Saturdays Meetup. Thanks @gokkulnath . I’m yet to get in touch with other AI Saturdays Ambassadors in Bangalore. Nevertheless, I’ll coordinate with @karthik_raj and decide further. Hi I am also interested to participate. Let me know how we can co-ordinate. HI @karthik_raj let me know if you are planning for a study group. I am interested in active participation. +1 on this? How do I get in? We just started with fastai. Also, we formed teams for doing projects. Through which, we are planing to conduct an Hackathon, if possible. Please, follow the link below for more details. The notes and material for the previous session are available in the github link below. Hi, I’m just starting the fast.ai course. It would be amazing if i could get more details about past meetup. Also, can i join future meet ups? Looks like the next meetup is tomorrow, 2018-10-05 (Sat). 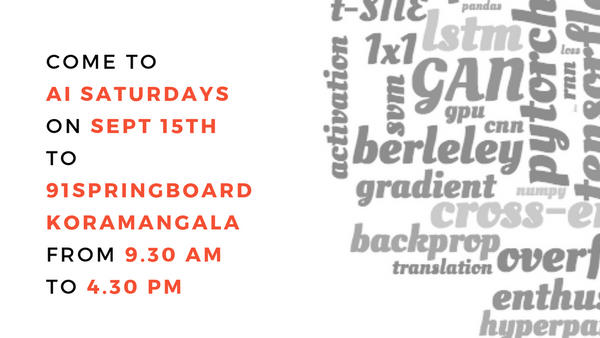 There is a meetup page taking registrations at the link below and the agenda looks like Lesson 8. The organizers have recorded past events and posted them on Youtube. You can find past events on the following page and for each event, the link to Youtube livestream is the last comment in the discussions. @sin2akshay, we will be doing Part 1 v3 in the afternoon sessions and Part 2 v2 in the morning sessions. Hi, Is this group still active? I am a beginner in this course and would love to join this study group so that I can clear my doubts and learn more from the fellow practitioners. In other case can anyone direct me to the similar functioning group.